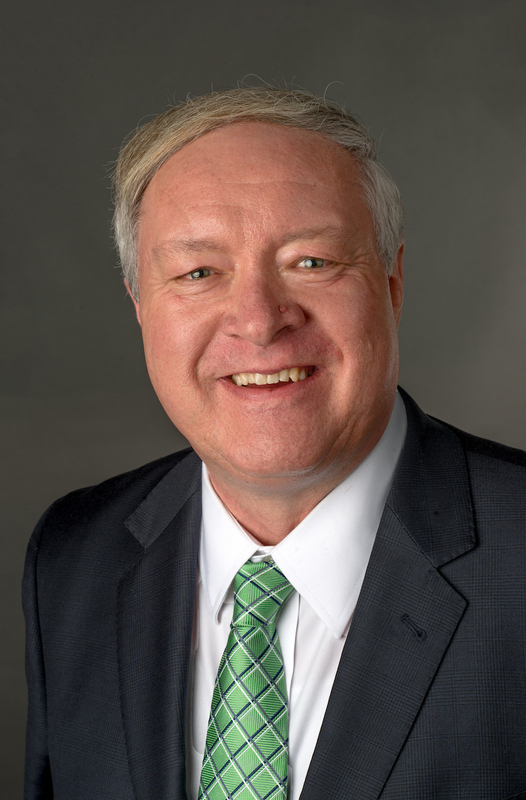 Editor’s Note: M. Duane Nellis is the president of Ohio University, in Athens, Ohio. Despite some recent claims to the contrary, I still believe the United States is a land of opportunity and that higher education remains the key to upward mobility. Not sure? Ask one of the thousands of first-generation college graduates in this country whose incomes have the potential to exceed that of their parents without college degrees. But to these graduates, college is not simply a piece of paper that allows them to get a better job (though it is that, too). To these graduates, college truly is a life-altering experience. America prides itself on believing it is a meritocracy, and many first-generation students must overcome obstacles, some very real and others perceived, to achieving a degree. But to quantify the value of a college degree to these students by citing statistics that they will make about 1 million dollars more over the span of their careers on average than those without college degrees is missing the mark. How do you quantify perseverance? Or intellectual curiosity? Or exposure to diversity in all its forms? At Ohio University, an institution proud of its Appalachian roots, one in three of our incoming freshmen on the main Athens campus is first in their families to go to college. On our five regional campuses located around the state, those numbers jump to between 50-57%. That equates to roughly 40,000 students whose personal economic circumstances have the potential to be improved with a college degree. That isn't just life altering — that has the potential to change the economic trajectory of the entire Appalachian region. During a time when the state of Ohio is estimating that two-thirds of Ohio jobs will require a postsecondary certificate or degree by 2025, higher education is the most vital component to strengthening the state's workforce and the state's economy. But for many in Appalachia, college is not a logical next step after high school. According to the Appalachian Regional Commission, only 19.7% of adults in our area of Appalachia age 25 or older hold a bachelor's degree. The national average is 30.3%. This creates an employment gap that many of us in higher education feel called to fill. But for a university situated in the foothills of Appalachia where the attitude that college is not worth the investment is common, getting the students in the door can be a difficult first step. "For a university situated in the foothills of Appalachia where the attitude that college is not worth the investment is common, getting the students in the door can be a difficult first step." I am not a native of Appalachia, but I have grown to appreciate and love its hills and its hollows. It is a place where compassion for one's fellow man or woman flows as freely as the creeks and rivers that slice the rugged terrain. It is a place where family and community are the strong pillars by which people build their futures and their own identities. To a first-generation student leaving their family behind to pursue the unknown world of academia, the university community becomes their new, temporary family. Often these new family members come from different parts of the country or even the world. They practice different religions or have different political beliefs. They come from different economic backgrounds and hold different worldviews. Our experiences enrich and shape who we are, and exposures to diverse people and philosophies often occur for the first time in a college environment. At its best, higher education produces not only skilled additions to the workforce, but more importantly, lifelong learners and good citizens. Engraved into the Class Gateway at Ohio University are the words of the U.S. Northwest Ordinance of 1787: "Religion, morality and knowledge being necessary to good government and the happiness of mankind, schools and the means of education shall forever be encouraged." Our founders cared deeply about higher education as a means to shape the future leaders of the republic. They harbored a desire to have a more educated citizenry, capable of self-governing. Our country was shaped by first-generation college graduates — farmers and immigrants who aspired for a better life and turned to higher education as a means to achieve it. Their contributions shaped this country and continue to shape it still today. Earlier this year, I had the privilege of hearing Google's chief education evangelist Jaime Casap speak about his own first-generation story. Casap discussed his difficult childhood in poverty and how he viewed education as his way out. He said education has the power to change a family's destiny in a single generation. Those words resonated with me because I knew in my heart they were true; I have seen it happen countless times during my 40-year career in academia. But nowhere have I seen this transformation more pronounced than in Appalachia. "I believe higher education leaders will all be remembered for how we responded when our central mission to educate the people of the world was dismissed as simply a waste of money." Universities are not simply churning out graduates for the sake of printing diplomas and collecting tuition dollars. We are producing well-rounded professionals who will go out into the world and be nimble in an ever-evolving, global society. We are preparing the next generation to solve problems that, with the rapid pace of technological change, remain unknown. All the while, we are living at a time where there is less support than ever for higher education, even as the need and demand for college are at their highest levels. It is the success stories of our graduates that motivate me in these trying times, especially the transformations I have witnessed of our first-generation, Appalachian students. That is why I feel called to defend higher education and its role in upholding our democracy. As I said in my inaugural address in October 2017, when the history of this era is written, I believe higher education leaders will all be remembered for how we responded when our central mission to educate the people of the world was dismissed as simply a waste of money. I, for one, refuse to stay silent and risk losing the opportunity to transform more lives for the better.